Butterflies will come in throngs! And new birds will song new songs. Stars and suns – all fresh, all new! Everywhere! And – on our grave. Hof! Nisht vayt iz shoyn der friling. In di volkns oykh tserunen. Un in unzer vinkl oykh! 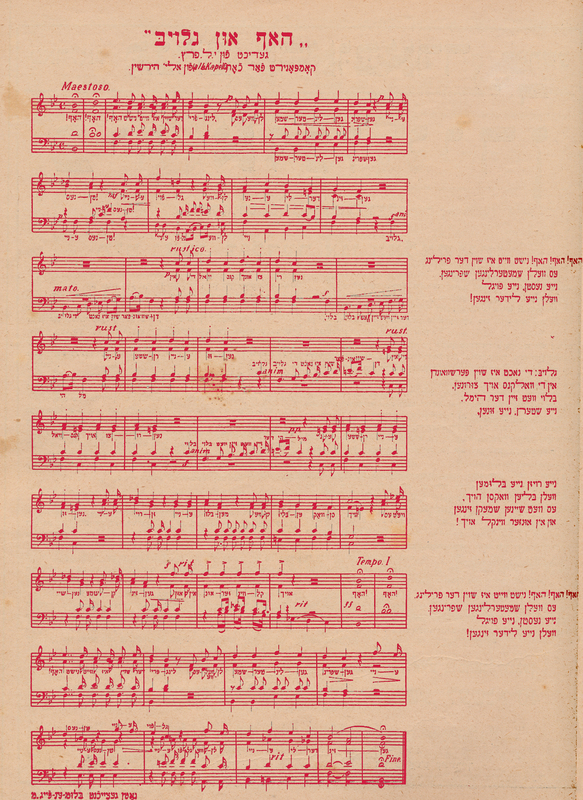 Follow along to the Yiddish and/or English lyrics above as you listen to a classic choral arrangement of Peretz’s “Hof un gloyb,” performed in the 1960s by the Vilna Choir. The choir was founded by Vilner émigrés in Tel Aviv in 1964 with the aim of preserving the cultural legacy of their beloved city. Previous PostShakespeare's Sonnet 18 — Af Yidish!